Lawnton Cemetery is located on Norfolk Avenue in Lawnton. It’s an Historical Cemetery and no new graves are currently available. There’s ee-openings of existing lawn and monumental graves only. Ashes placements are available in the columbarium wall, corian columbarium wall and existing grave sites. Visit the North Pine Historical Society’s website to find out more about Lawnton Cemetery’s history. 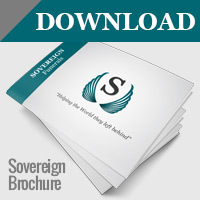 Sovereign are a not-for-profit Funeral Company based in Brisbane, QLD. In addition to Brisbane we also serve families on the Gold Coast, Sunshine Coast, west to Ipswich and everywhere in between. We can offer full burial and cremation services and can customise an affordable service to your needs. Sovereign Funerals are members of the Independent Funeral Directors Association of Australia.